Six sections of the Caminho Portugués, the Portugal way, in the north of the country. This caminho ends, as is well known, in Santiago de Compostella (Spain). We ended our hike in Tui, on the border of Portugal and Spain. Started in Porto. The trail follows small country roads, asphalted, old stone roads or small connection roads between the villages. Along many villages and - of course, this is a caminho - churches and chapels. 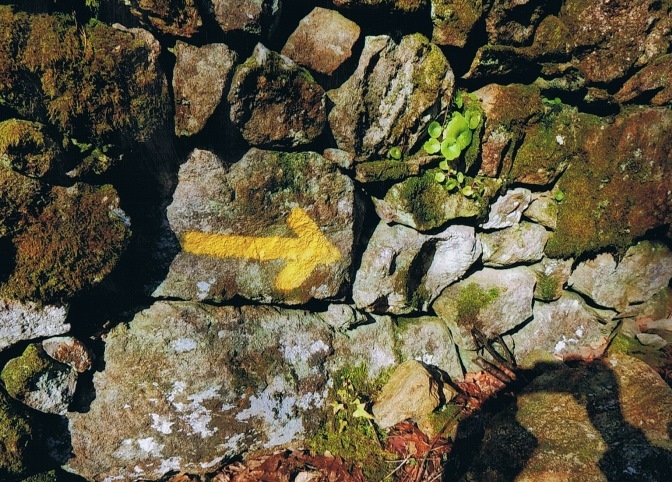 The trail is very well marked: yellow arrows. The real enthusiasts can get their stamps on countless places en route. Getting there: a flight to Porto, the light-rail/tram to the city-center for a hotel and next morning by public transport or taxi to Mayo. To avoid walking kilometers through the suburbs of Porto. 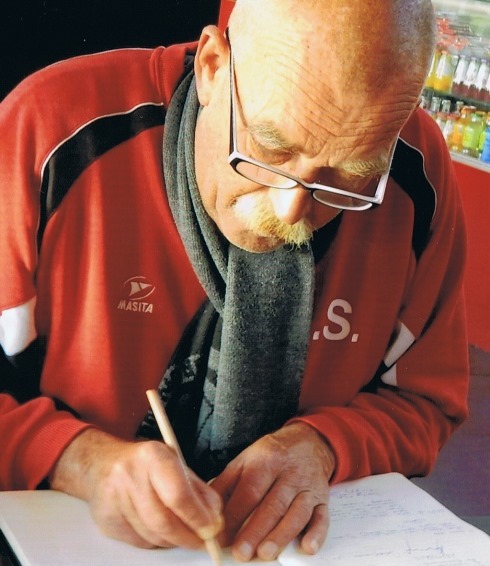 Accommodation: We made use of the services of Pelgrimsroute.nl (a Dutch organization). Spending the nights in hotels and old country houses. You can also use the many sleeping opportunities for pilgrims en route. Maps: just follow the yellow arrows and nothing can go wrong. Indication of height: up to 460 m.
Day 1: Porto ( Mayo) - Arcos………………………….22 km. Day 2: Arcos - Barcelos…………………………….…...23 km. Day 3: Barcelos - Balugaes……………………….......17 km. 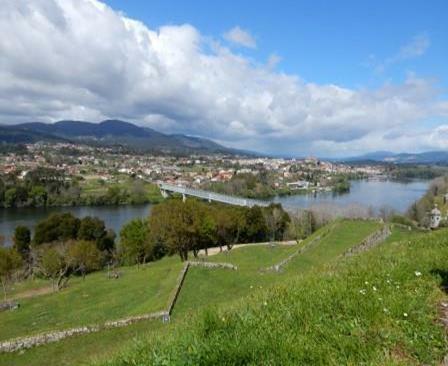 Day 4: Balugaes - Ponte de Lima…………………...17 km. Day 5: Ponte de Lima - Rubiaes……………………..19 km. Day 6: Rubiaes - Tui (S.)………………………….…......20 km. And with a bus back to Porto. 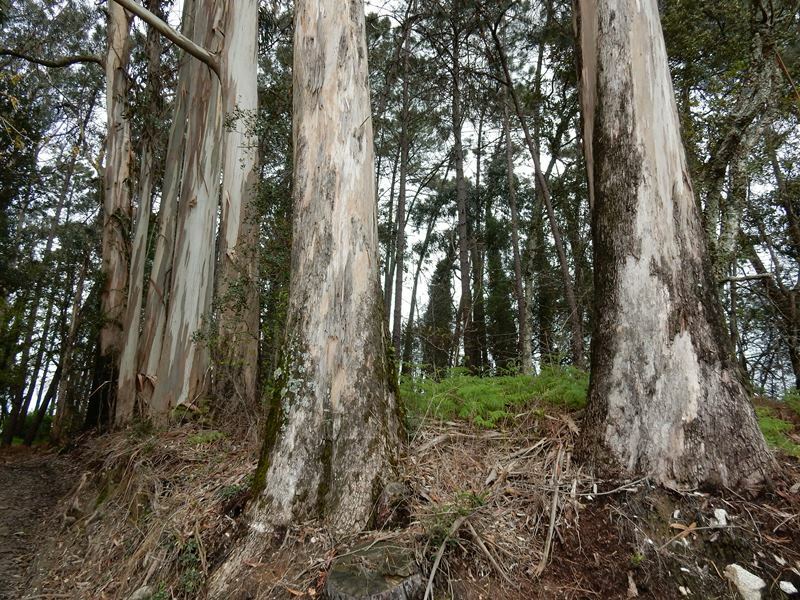 On trail: a nice walk on quiet roads, in a hilly landscape, by many villages, some eucalyptus forests, vineyards. 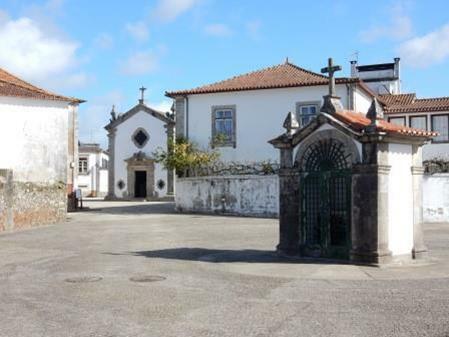 This Caminho route also passes many lovely rural villages with magnificent Baroque churches and interesting historic towns, such as Barcelos, Ponte de Lima and Valença. A "steep" climb to Portella Grande (460m. ), day 5, and a nice descend to the valley of Coura. 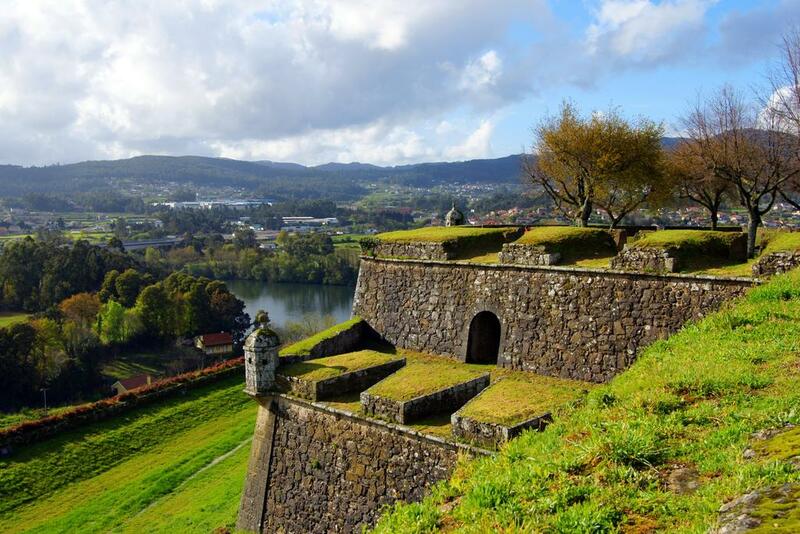 Valença by the Minho river.The town still has the old characteristics of a fortified town from the 17th-18th century.The Valenca Fortaleza is one of the most impressive fortifications, with it's battlements and bastions, in northern Portugal. The International Bridge over the River Minho, clearly inspired by the works of Eiffel,.that separates Valença do Minho, in Portugal, from Tui, in Galicia. 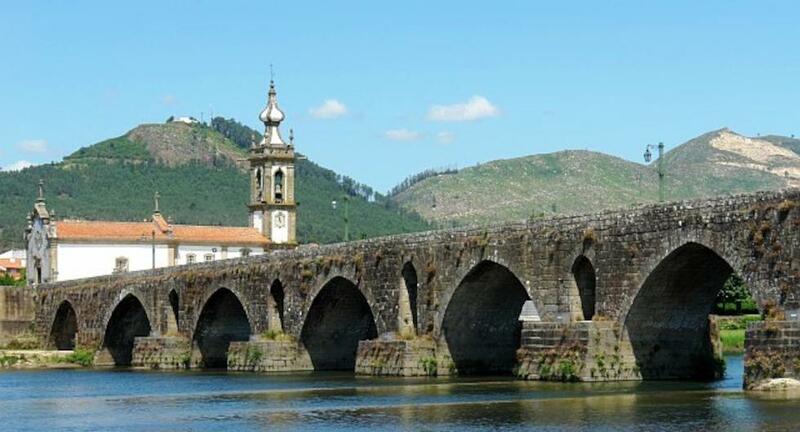 Or Ponte de Lima with its medieval bridge over the Lima river., day 4; special attention to the legend that can be heard here, about the Roman soldiers: they mistook it for the River Lethe, the river of forgetfulness. 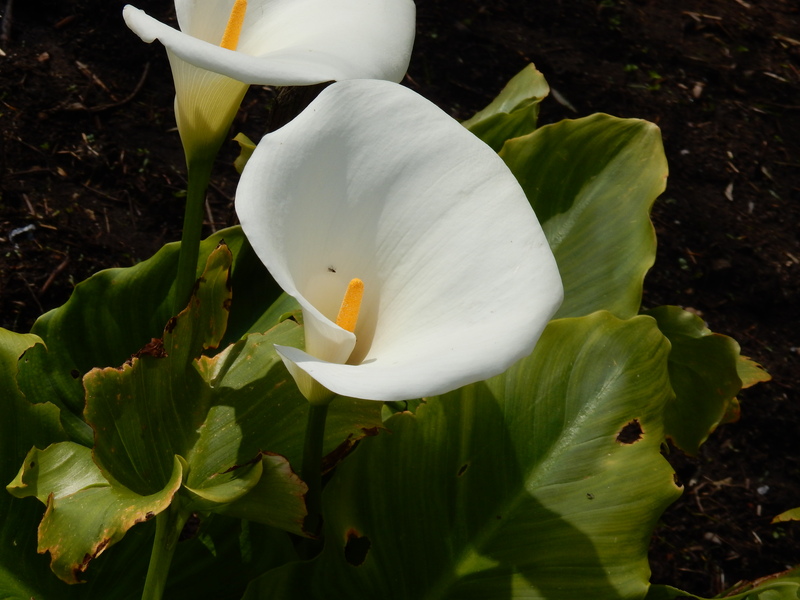 As you progress to the North the landscapes become more beautiful, greener and higher. And less populated. 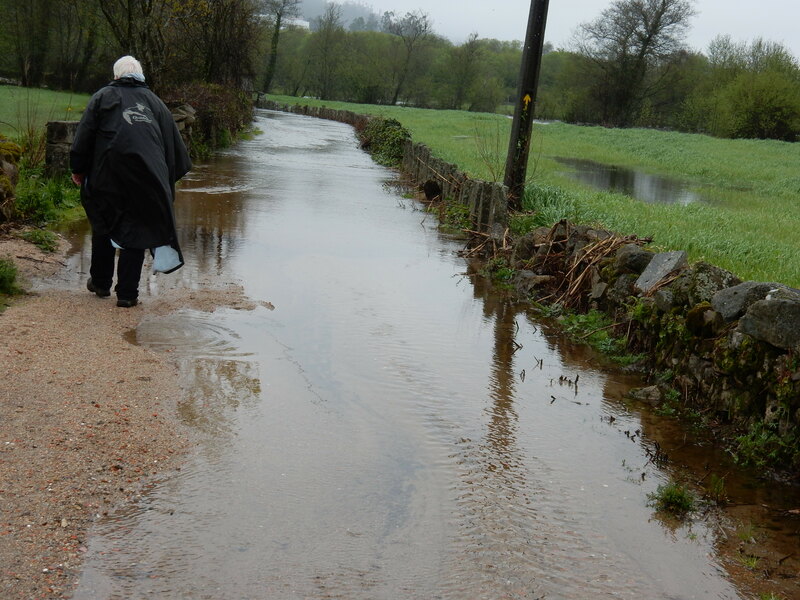 In case of heavy rainfall there is a risk of small floods on trail. And for the yummy eaters among us: try the fish (the cod or bacalhau). Porções da categoria ao ar livre!